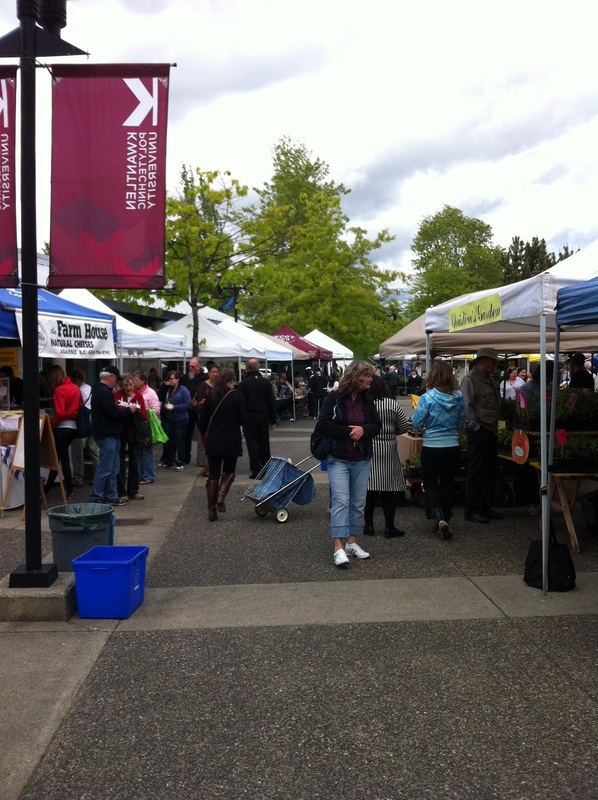 Wednesday marked the start of the Langley Farmers Market season. 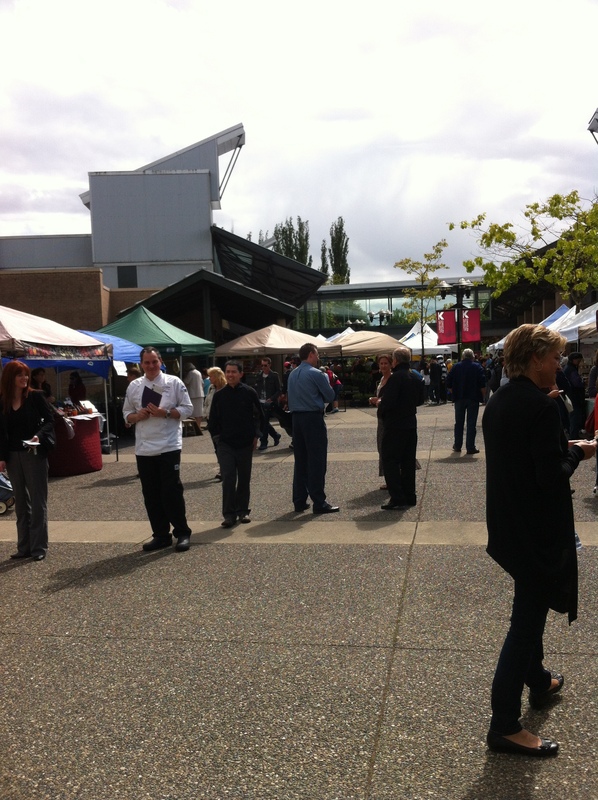 The market is held in the courtyard area of Kwantlen’s Langley campus on the Langley Bypass and Glover Rd, and are every Wednesday afternoon from 2 to 6pm until October 3. Parking at the university is $2, but you can get that reimbursed at the Market Info tent. Some of the vendors accept major credit cards, but if you’re a dolt like me and forget to bring cash, apparently you can buy Market Bucks that can be used at any of the vendors’ booths. I’d passed by the market many times in the past, but never bothered to stop in and check it out. I’m glad I gave it a chance this week! There were about 30 vendors selling veggies, plants, baked goods, beauty products, spices, jewelry and tons more. The variety is fabulous! Many of the vendors were also giving free samples of their stuff, so I got to try a few delicious things that I’ll for sure be purchasing in the future. The weather had been pretty horrid for the few days leading up to it, so it was nice that the sun came out for the afternoon, even though it was pretty windy. I highly recommend stopping by at some point over the next few months! I’m excited to see what will be available as more produce comes in season.